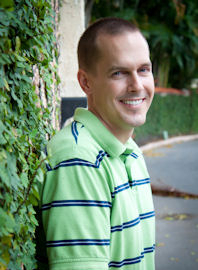 thatDad has been Chief Financial Officer for The King's Academy in West Palm Beach, Florida since 2007. King’s is a private Christian school serving approximately 1,200 students from preschool through twelfth grade in Palm Beach and Hendry Counties. Previously, thatDad worked in the real estate industry as Vice President, Accounting for Woolbright Development, Inc. as well as Vice President, Controller, and Chief Accounting Officer for the New York Stock Exchange-listed CRT Properties, Inc. and Dycom Industries, Inc. He began his career as an auditor at Ernst & Young LLP and is a Florida Certified Public Accountant. thatDad holds a Bachelor of Science degree in accounting from Palm Beach Atlantic University and a Master of Accounting degree in public accounting from Florida Atlantic University. He also serves as a trustee of Palm Beach Atlantic University. "I want to visit all 50 states so that my children have the opportunity to experience what's best about the USA. Our trip across America will allow us to bond as a family and meet many new friends while learning about American history and culture." 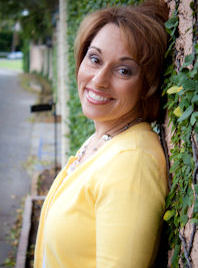 thatMom has been a Mathematics and Theater Arts Teacher for The King's Academy in West Palm Beach, Florida since 2006. King’s is a private Christian school serving approximately 1,200 students from preschool through twelfth grade in Palm Beach and Hendry Counties. Previously, thatMom worked in education as a Mathematics Teacher at Palm Beach Lakes High School, a public school in West Palm Beach. She began her career as a Mathematics and Theater Arts Teacher at Indian Rocks Christian School in Largo, Florida. thatMom holds a Bachelor of Science degree in mathematics and a Bachelor of Arts degree in theater arts from Palm Beach Atlantic University. She is a certified by the State of Florida and ACSI as a secondary mathematics and theater arts teacher. "I am a middle school teacher who has taught for more than 15 years. I love teaching and hope that thisTrip allows me to teach my children what's great about the United States. I also realize that this website will allow me to teach children all across America about our culture, history, and people. Visiting all 50 states is a teacher's dream and I intend to make the most of it." 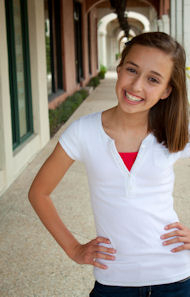 thatBigSis, age 13, is a seventh grader at The King's Academy in West Palm Beach, Florida. She serves as class president, plays volleyball as a setter, and is active participant in the fine arts as a singer and dancer. To date, she has appeared in musical theater productions of The King and I, Music Man, Cinderella, Beauty and the Beast, and is slated to perform in the upcoming Les Miserables as a member of Gavroche's Gang and principal ensemble. During thatTrip, thatBigSis will be enrolled in The King's Academy Online (www.TKAOnline.net) to complete her eighth grade studies. "I'm excited that we get to go to all 50 states. I want to learn about the history of America and see places I have never seen before. I can't wait to see my family and friends that live all across America." 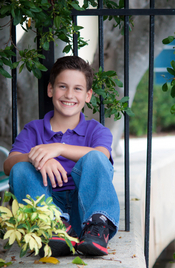 thatLilBro, age 10, is a fifth grader at The King's Academy in West Palm Beach, Florida. He plays basketball and many musical instruments including the piano, drums, ukulele, and baritone horn. He is also an active participant in the fine arts as a singer and actor. To date, he has appeared in musical theater productions of The King and I, Music Man, Beauty and the Beast, and is slated to perform in the upcoming Les Miserables as Gavroche. During thatTrip, thatLilBro will be enrolled in The King's Academy Online (www.TKAOnline.net) to complete his sixth grade studies. "This trip across America is going to be so fun. I can't wait to go on the best USA trip ever and to live in our cozy RV. I always want to know how many days it is until we leave. I also love to write so I hope that lots of people will read my blog." Copyright, 2011-12. All rights reserved..